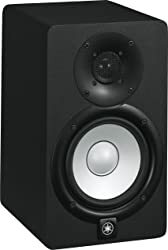 Some do not understand the value or importance of using a set of studio monitor speakers. A DJ that takes themselves seriously and has professional goals will strive to add a set of the best studio monitor speakers to their equipment repertoire. 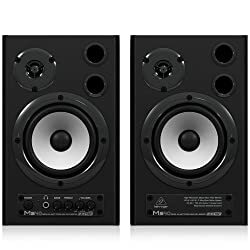 Having a reputable set of studio monitor speakers can make a difference in your ability to maintain a higher status as a DJ. It is because of this reason that we have put together a guide on what studio monitor speakers are worthy of consideration. These reviews will provide detailed information on the features and intricate details so that you can make a well-informed decision on what to purchase. Don’t have time to read the whole post? Check out the 3 must see speakers compared below. 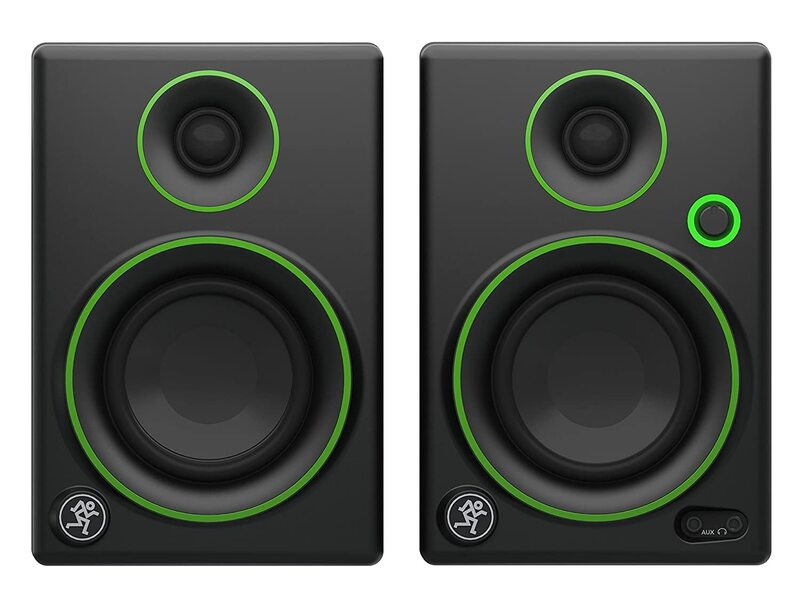 The #1 studio monitor speakers we reviewed. An excellent all-rounder. The best value for money studio monitor speaker we reviewed. Our premium pick on the higher end of the price range. DJ’s and producers both have unique needs when it comes to choosing equipment for their setup. 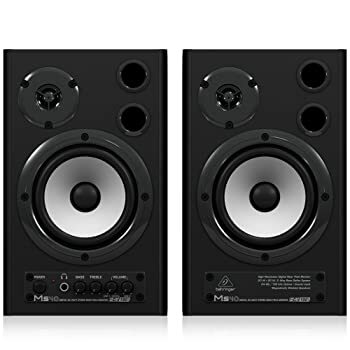 If you are looking for a set of 2-way active studio monitors that are best used in small environments such as a computer studio or workstation, the Behringer MS40 is one to give serious consideration. When you buy a Behringer, you aren’t just buying a piece of equipment. You are buying a finely crafted piece of equipment that will be apart of your DJ setup for years to come. Behringers are made with the finest quality components, offer style and durability, and are backed by a manufacturer’s warranty. When you buy Behringer, you have no regrets. Choosing a pair of speakers can be a challenging task as the market is oversaturated with so many of them. The Mackie brand is well known for being a leader in customer service as well as in the production of high quality products. The CR series multimedia monitor speakers are made with professional, high quality components that make sonic performance better than the competition. The Bluetooth connectivity allows you to pair your headphones, smartphone, or other device to the speakers without hassle. If convenience and quality are what you are looking for in a set of speakers, the Mackie CR3 multimedia monitors are promising contenders. Yamaha is a brand that you see and instantaneously trust that the item is going to be worth every penny that you spent for it. There is something about the Yamaha brand that keeps people wanting to come back for more. Perhaps, it is because Yamaha has been around for decades. Or maybe it is just because Yamaha creates outstanding products that can withstand the test of time. Whatever your reasons are for landing on this Yamaha HS5 Powered Studio Monitor, you have made a good decision. Choosing a studio monitor set may seem like a challenge, but it doesn’t have to be. While shopping, it is important to look for highlighted key features of each product. When it comes to the KRK RP5G3-NA model, you can rest assured that it has been upgraded, researched, and studied as this is the 5th generation of the same product. You can rest assured that the engineers and production managers got it right this time! Living or working in a small space has its challenges. When it comes to providing high quality sound to a small space, you have to be careful in how you go about achieving your goal. You don’t want to purchase a speaker system that is too big but you don’t want to purchase something that is entirely too small either. That is where the Edifier R980T 4” speakers can come in handy! Choosing a name brand for a studio monitor can be a hard choice to make as there are many great options on the market, all vying for your attention. One brand, in particular, that is known for being outstanding on a consistent basis is JBL. JBL LSR308 is a brand name that is recognized by professionals and amateurs alike for creating high quality equipment that can withstand the test of time. JBL is highly recognizable as they are known for creating outstanding products that are affordable and accessible to people from all walks of life. 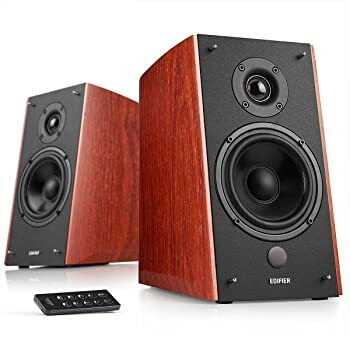 Finding the right bookshelf speaker for your personal needs and goals can be a challenge. The reason for this is that you want your speakers to not only fill an aesthetic void on your bookshelf, but you also want them to be functional and a good source of sound. 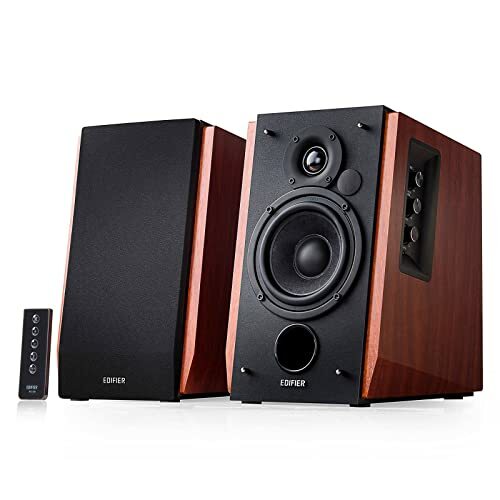 The Edifier R2000DB brand is one that is not well known as they do not spend a bulk of their budget on marketing. Instead, Edifier chooses to use their funds to create additional engineering marvels and new technology with their audio products. The R2000DB is no different and does not disappoint. 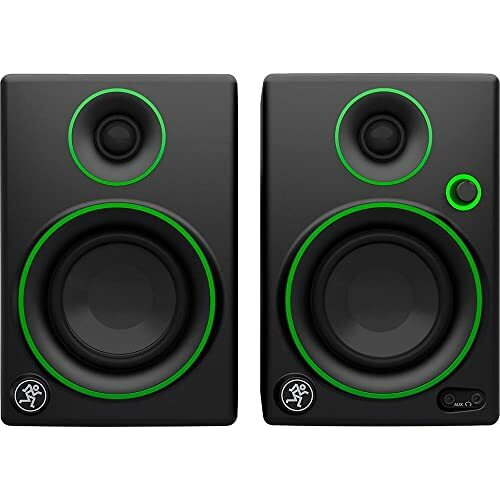 PreSonus Eris E3.5 Professional Multimedia Reference Studio Monitors are a must have if you are in search of a pair of great monitors at a reasonable price. The PreSonus Eris offers acoustic tuning and gives you the ability to enjoy crystal clear sound quality in any room. 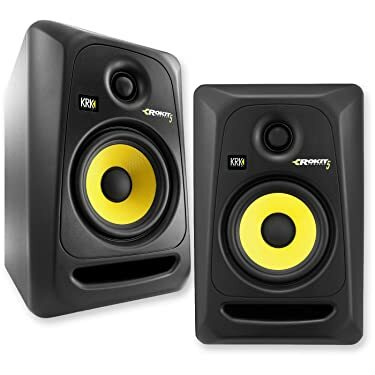 There are a plethora of unique features that are provided with this set of multimedia studio monitors including but not limited to the ability to use them for multiple purposes. It can be a challenge to find the perfect monitor, however it can be an exciting experience. The key to finding the perfect equipment for your setup is to try new things on a consistent basis until you find something that you truly enjoy. The PreSonus Eris E66 active monitor offers a great MTM design with dual Kevlar drivers. These drivers offer a smooth on and off axis response. They also include a more dynamic output than models in the past. If you are in the market for a supreme monitor that will outperform the conventional two-way studio monitor, the E66 model is one to seriously consider. 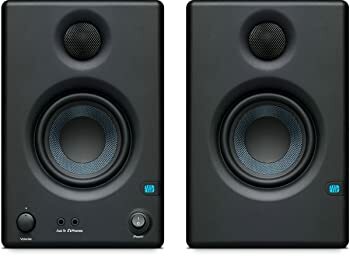 The Rockville ASM5 5” 2-Way 200W active studio monitor speakers are unique in comparison to the competition as they use a tenacious features such as a rear-firing port that offers bass coupling that helps to reinforce and amplify low frequency responses. The highlight is that the accuracy is not affected during this process. When you use this product, you will be able to hear the difference in the level of accuracy and cleanliness that is produced at all pressure levels. 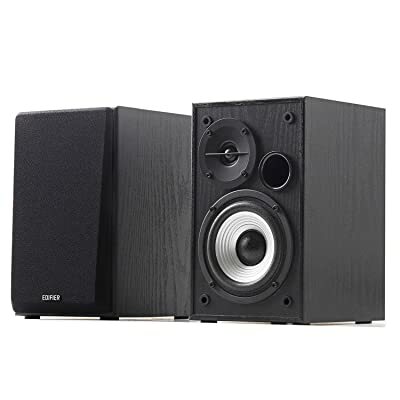 The Edifier R1280DB model is fantastic for someone who is looking for a set of speakers that are easy to connect to an iPhone, Android, Tablet, PC, or Macbook without any problems. These speakers are designed in the popular and classic bookshelf style with an additional perk to an old fan favorite; no wires! Finding a professional-looking set of speakers for the home, office, or small venue can be quite a challenge. Most of the time speakers are produced in bland, black cabinets with matching mesh overlay for speakers. 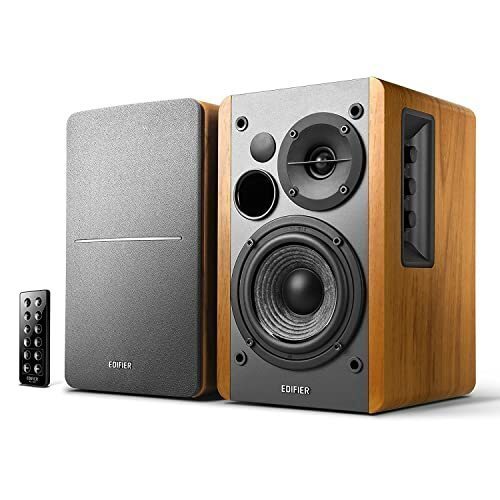 However, the Edifier R1280T model has a fresh, yet classic look that accompanies great sound quality at an affordable price. 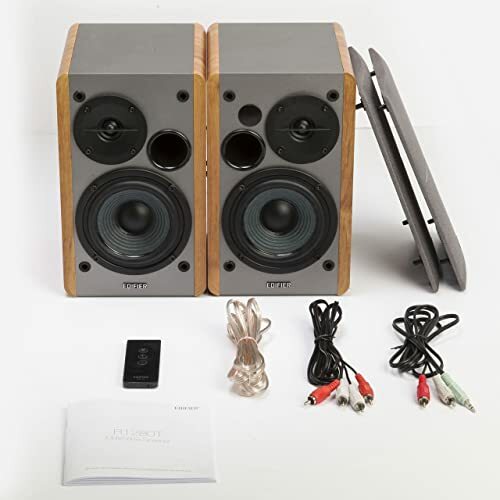 The Edifier R1700BT Bluetooth Bookshelf Speaker set is easy to use and has the ability to perform at a high level for an extended period of time. The Bluetooth connectivity allows the user to connect to the speakers without plugs, cords, and additional hassle. Simply pair the device (smartphone, tablet, computer, etc.) with the speakers and you are all set to produce great sound from your speakers. Choosing DJ equipment is something that we take seriously and spend a great deal of time researching so that we can recommend the best products that are made to withstand the test of time, are a high-quality product, and a great value for the money. 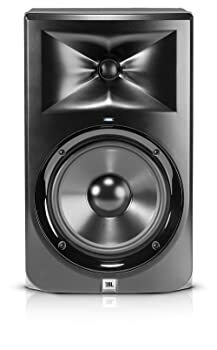 Choosing studio monitor speakers is not an easy feat as there are many on the market to choose from. This article will highlight in detail the specifications that we used as our baseline standard in choosing the best models for our list. 1. High-quality products. Before setting out to make a purchase, it is important to understand that there are several things to keep in mind when committing to a pair of studio monitor speakers. You will need to take into consideration the size of the space that you plan to use the speakers in. This matters as some speakers may not sound great in a small space while others may sound horrible in a large space. The products on our list will work in a variety of spaces and are considered to be the best products on the market for the price. In an effort to be as inclusive as possible, you will see a variety of options based on price point and level of features. The reason for this is that our list includes products that may be best for beginners as well as professionals. 2. Great value. Avoid breaking the bank when investing in a set of studio monitor speakers. This is important as you may need to invest in more than one set of monitor speakers to ensure great sound quality. Some producers prefer to own more than one set of studio monitor speakers for the consistency purposes. When you can play your track on multiple sets of speakers, you will be able to pick up minor flaws and make pertinent adjustments. The good news is that there are many great manufacturer’s that are in the business of creating high quality studio monitor speakers for less. With patience, due diligence when it comes to research, and looking for sales, you can find a great value on a high-quality model of studio speakers. The studio monitors on our list have been researched and provide a variety of budget-friendly options to suit all needs. 3. Durability and quality of performance. Our list of studio monitor speakers has been reviewed and tested by consumers and experts from all over the world. Our list features specific brands and models that are durable and offer quality performance every time that they are used. 4. Transparency and honesty. While we spent a great deal of time researching a variety of studio monitor speaker sets, it is only ethically right to share the pros and cons of each. Our guide is transparent and honest which is intended to help you make the most informed decision as a consumer. While our experts have a great passion for music, it is important that you take our reviews into consideration when determining what features will work best for your needs. Every DJ, producer, and music engineer understands the importance of owning a good set of studio monitor speakers. This equipment is critical to one’s ability to record, mix, and master a track. 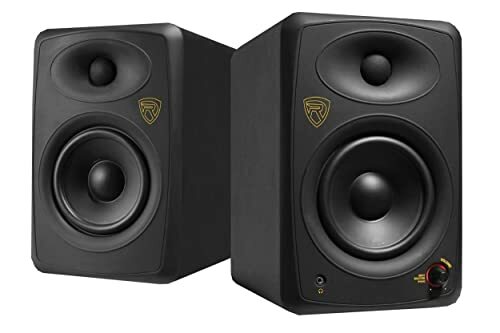 There is much to consider when setting out to purchase the right studio monitor speakers which is why we put together this article. Making the right decision is crucial to your career as the sound quality can make all the difference in a mediocre performance and one that is unforgettable. This article will highlight some of the things that are important to keep in mind when shopping for the right studio monitor speakers. 1. Set a budget. Before you set out to make a purchase, it is always in your best interest to explore your finances so that you can determine what you can afford. It is important to note that a good set of high powered monitors can cost between a few hundred dollars and several thousand dollars. If you are shopping for a set that is going to give you professional studio quality, you will want to shop around for the best deal. Taking time to conduct proper research and try out different models will serve you well. The good news is that you will be able to find a good set of quality speaker monitors at every price point if you do your research. If you do not have a large budget, don’t despair. Focus on the sound quality, performance, and your specific needs to help guide you in your purchase. 2. In this instance, flat is better. Most of the time, people enjoy music that is not of the flat variety. However, when selecting a good set of studio monitor speakers, flat is a good thing. This is especially true if you plan to use your monitor speakers to help you make decisions about recording levels, the mastering process, your mic positions, and mix balance. If this is the case, the most important thing that you should pay close attention to is the level of neutral response that the monitors can provide. The reason for this is that you want to beable to truly hear how your recording is going to come through regardless of the speakers. A good monitor system will allow you to hear the sound as is so that you can make the pertinent adjustments. It is because of this, that you want your monitor speakers to be flat and consistent. 3. Consider the location you will be using the studio monitor speakers. This goes without saying but it is important to consider the location in which you will be using your monitor speakers. Take into consideration the size and acoustics of the room as this will play a role in how well your speakers perform and the level of sound quality you will receive from them. If you will be working in a small area, you will need a set of speakers that can accommodate the space. The same is true for a larger space or one that has poor acoustics. 4. Keep bass response in mind. The reason that you need to consider bass is because some music requires a substantial level of low-end response. There is a fine line that one must follow however, as too low of a frequency can halt the travel of sound. For example, you may hear the bass in your studio, but if you were to play your song in a larger environment, the bass may sound thick or too thin. When choosing speakers pay considerable attention to the length of frequency, how loud the speakers can play, and the size of the cabinet. A good rule of thumb is that if you want to achieve deep bass and substantial playback, you will want a big cabinet. However, if you would a deeper bass in a smaller cabinet, you will lose some volume. 5. More can be better. If you have it in your budget, consider purchasing more than one set of monitor speakers. The reason for this is that certain musical genres may sound better on one set of speakers versus another. This can help you determine consistency when mixing and remastering your tracks. Contrary to popular belief, speakers are not a one size fits all product. There are a variety of speaker types and brands that differentiate one from another making it so that you can choose one that will work best for your needs and personal preferences. In order to understand what speaker system will work best for you, we have developed this article that will explain the key differences between a studio monitor speaker set and a regular bookshelf speaker set. Bookshelf speakers or home audio systems are almost always considered passive speakers. This means that they need an amplifier with speaker outputs to make music sound great. However, studio monitor speakers are considered active as they have a built-in amplifier in the cabinet. So, how does one know if a speaker system is active or passive? for each speaker, you are more likely to build a quality system. Reducing overlap between speaker components can create a more detailed and crisper sound. It is important to note that your speaker preferences will be dependent upon your goals in listening to music. If you are a consumer, you probably enjoy listening to music and may do so on any speaker that fits within your budget. However, if you are a DJ or you produce music for a living, you will most likely want a speaker system that will provide you with the true sound of a track. Speakers that are made specifically for consumers who enjoy listening to music have a tendency to make a song sound better than it will on speakers that are not rated as hi-fi. Take your time when purchasing a new set of speakers. The reason for this is that you need to conduct a level of research that is independent of going to a electronics store and listening to the sound quality on the speakers. Many consumers get tricked into thinking that a set of speakers is outstanding when in fact, the music that is being played in a store is just a really good recording of the specific song that they are listening to. They take their speaker system home and find that to their dismay; the speaker system lacks sound quality or performs subpar to what was demonstrated in the store. It is because of this that it is imperative to read reviews about a variety of products so that you can make a well-informed decision on the type of speaker system to purchase. A good set of studio monitor speakers will highlight the flaws in your tracks. While this sounds counterproductive, it is actually imperative to a musician, music producer, or DJ’s success. The reason for this is that a typical set of speakers can highlight the good aspects of a song while a good studio monitor speaker set will highlight areas that need improvement. These speakers can help professionals in the music industry make adjustments in areas that matter when it comes to producing great songs. When determining the best type of speakers for your needs, it Is critical that you conduct research and read reviews. 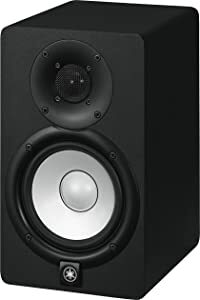 These reviews will provide you with candid information that can help you make a decision as to what are the best studio monitors to purchase.